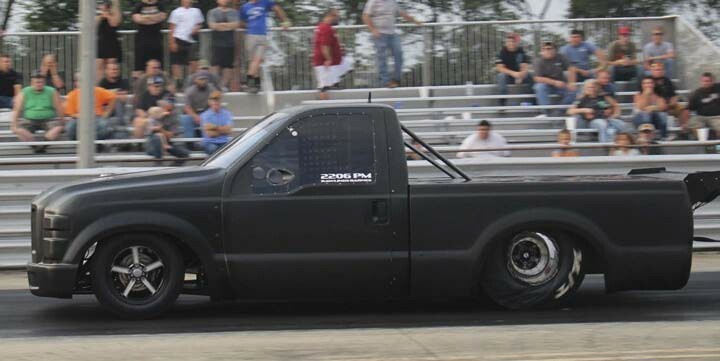 Almost like it never even happened—the Rudy’s Performance Parts Pro Mod Super Duty driven by Rawlings Barnes was back in action at the Scheid Diesel Extravaganza. 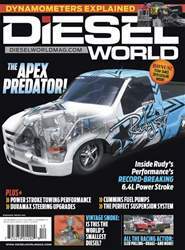 After hitting the wall mid-track at the Rocky Top Diesel Shootout back in July the truck suffered considerable damage, but the North Carolina company was determined to get it back on the track as quickly as possible. This kind of turnaround time speaks to the level of dedication and professionalism of the Rudy’s race team, and it proves to the world just how serious they are about the 2018 Outlaw Diesel Super Series Pro Mod points chase. During test hits made prior to rolling into Terre Haute, Indiana, Barnes would pilot the 6.4L-powered Ford to a 4.78 at 152 mph and a 4.79 at 150 mph.